300 new apprentices will be given the opportunity to join the Arnold Clark Group. 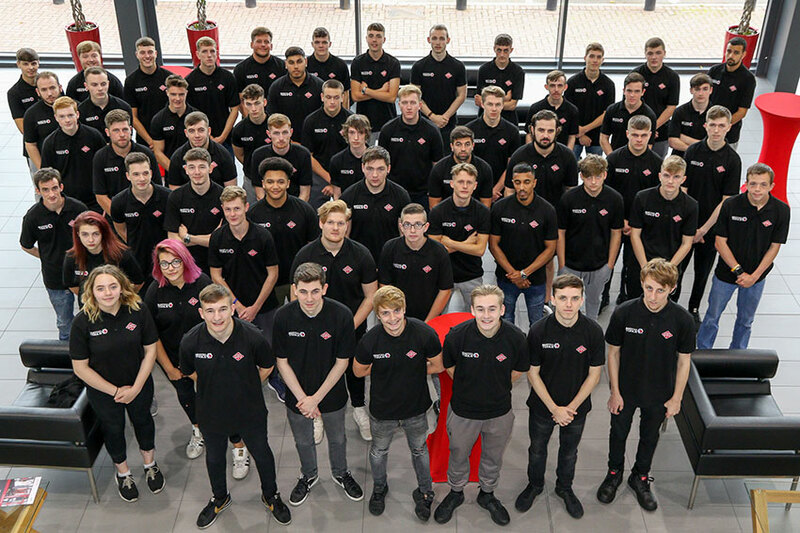 The application process is now open for Arnold Clark’s apprenticeship programme, with 300 new recruits set to join the company this summer. The apprenticeship programme offers anyone over 16 years of age the opportunity to learn skills and gain a recognised qualification. All apprentices will receive training as they work at an Arnold Clark site, and some will also attend week-long training blocks at one at Arnold Clark’s industry-accredited GTG training centres. After gaining their qualifications, apprentices have the opportunity to grow their skills further and develop their career. Arnold Clark currently employs 903 apprentices, with 91% of them going onto a full-time position with the Group. While many of the apprenticeships offered are in traditional motor trade roles such as technicians, spray painters, body repairers and parts advisors, there are also opportunities for apprentices in roles such as IT, engineering, customer service and business admin. Candidates should have, or should be currently studying for Standard Grades (1–4), National Grade (4/5) or GSCE (A–C) in subjects relating to the apprenticeship.